Author Aaron Mahnke originally launched a podcast called “Lore” in 2015. Since it has earned many awards and acclaims with this podcast, such as “Best of 2015” honours from iTunes podcasts. In 2017 the podcast actually became a TV series. Like the podcast, the TV series covers real-life events and folklores that spawns individuals nightmares and fears across the globe. The new format allows Lore to take advantage of the ability to showcase visuals, blends animation in with the storytelling and narration. It has a mixture of Aaron Mahnke’s talking and storytelling in the podcast, with live action reenactment of events and fictional events to immerse the viewer more. 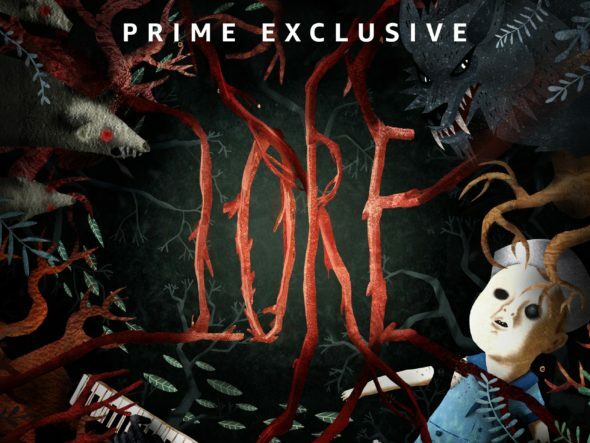 “Lore” has a decent line up of executive producers, most of which coming from other horror shows, such as “The Walking Dead” and “The X-Files” so they know how to build suspense and accurately represent the genre. Personally, I loved the Lore podcast series (and if you like podcasts I would recommend checking it out!) However, the TV series, for me, didn’t elevate anything, the visual additions are fine but certainly wasn’t needed. The subject areas covered are the same from the podcasts, so if you, like myself, have listened to every podcast, then the information is repetitive from what you already know and have heard. Looking at it form a new consumer viewpoint, if you haven’t heard any of the Lore podcast and are interested in folklore, it is very good, with an interesting take on the genre, offering something new, which is factual, yet also fiction so not too dry. Personally, I like the idea of the show and it is fairly well executed, however, I would certainly suggest if you like the idea and the topics, give the podcast a listen first. However, if you're not a podcast kinda person the TV show is a very good option. The other problem is it is an Amazon exclusive currently, so if you don't have access to Amazon Prime, you will have issues watching it. The podcast on the other hand is free on most decent podcast apps!